As investors continue to get seduced by the astonishing growth rates of the FAANGs, opportunities are increasingly popping up in areas many have long pronounced as dead, particularly retail, according to Alasdair McKinnon, manager of The Scottish Investment Trust (SCIN). 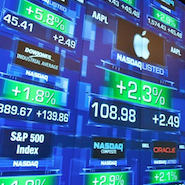 Apple (AAPL) and Amazon (AMZN) recently became the first two companies to break through the $1 trillion market cap barrier, and NASDAQ, the tech-heavy US index, continues to well outpace all other global indices. Further, two of the three best-performing Investment Association sectors – IA Technology & Telecommunications and IA North America – are heavily exposed to those behemoths. Expectations are high for these high-growth tech stocks, says McKinnon; but so are earnings, meaning they are capable of beating those forecasts. However, if earnings do take a turn for the worse, that’s a dangerous position to be in. Amazon has been a thorn in the side of many a retailer, with online shopping now becoming a big part of consumers’ habits. The problem McKinnon sees here is that online shopping for businesses is not profitable – whether that business be Amazon, Tesco (TSCO) or Marks & Spencer (MKS), that latter two the Scottish Trust owns. That’s because the logistics are inefficient and the process for returning items is currently “a disaster”. The manager says that at the moment, there’s an interesting, but somewhat unfair, dynamic at play. While Amazon is assessed by investors on its stunning sales growth rates – not its profits – the more established players, are being assessed on profits, and no-one cares about their sales growth. As a result, the S&P 500 Internet & Catalog Retail Index is well outpacing the S&P 500’s other three retail indices, according to Morningstar Direct data. In the year-to-date, the former has returned 60% in US dollar terms, compared with the next best, Multiline Retail – department stores – which has returned 20%. Over three years, that’s even higher, with the Internet & Catalog index up 213% compared with the next best, Specialty Retail, at 45%. But it’s not a one-way street and “we’re definitely not going to enter an online-only shopping world”, says McKinnon. “You need to adapt in this world. If you don’t, you won’t be here in five years. In fact, in the six months to 9 September, internet retailers have underperformed multiline retails and specialty retailers, and are only narrowly ahead of food and staples retailers. Could the tide be turning? Maybe not just yet, but it will, eventually, McKinnon believes. “At some point, the market’s going to say ‘I don’t care if you’re Amazon or Marks & Spencer, what I’m interested in is profitable growth, not just growth’. The turnaround is being led by the US, which may surprise some as US malls have had the death knell over them for some time. 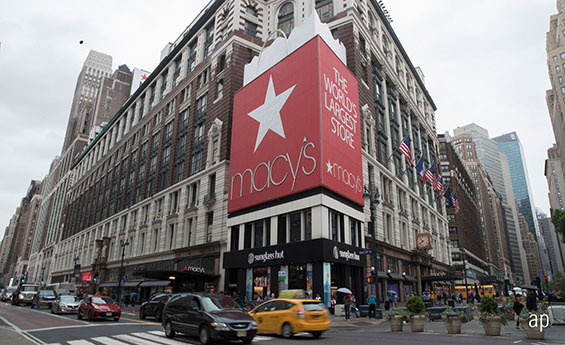 Macy’s (M), for example, another stock owned by The Scottish, fell 76% from a record high $72.8 in mid-2015 to a seven-year low $17.5 last November. However, since then it has more than doubled to trade today at $35.5. Only last month it hit a 20-month high at over $41. “Macy’s had got themselves into a mess and were caught in a discounting trap,” explains McKinnon. “But two or three years ago, they learnt their lesson. They started to get their inventory levels right and realised they had to create an environment that’s an interesting place to go and browse. McKinnon has owned Macy’s, Tesco, M&S and Gap (GPS) for well over a year now. He has also added a new retailer to the portfolio this year in Target (TGT), which is a large US supermarket. He says it is another example of an old company adapting to changing consumer needs. Target has made its website much more user-friendly, but the big initiative McKinnon’s most excited about is a pivot away from big box-type stores – which they still have – to a “Tesco Express-type format”. “They’re appreciating that, even in the land of the car, people don’t want to drive a long way to a big box and spend a long time there. Sometimes they do, but actually sometimes they just want something quick and convenient. That’s working quite well for them. McKinnon says he bought the stock initially early in 2018 and has added to his position since. As at 31 July, it accounted for 2.5% of the portfolio. In the past 12 months, Target's share price has doubled, from $44 last August to $88 today. Apple and Amazon: Who is the Next $1 Trillion Company? How Will NAFTA Impact the US, Mexico, Canada and China?